Designed with an eco-conscious mind, the EcoSmart™ Emerald GREEN Topload is constructed with polyester material made from recycled plastic bottles. 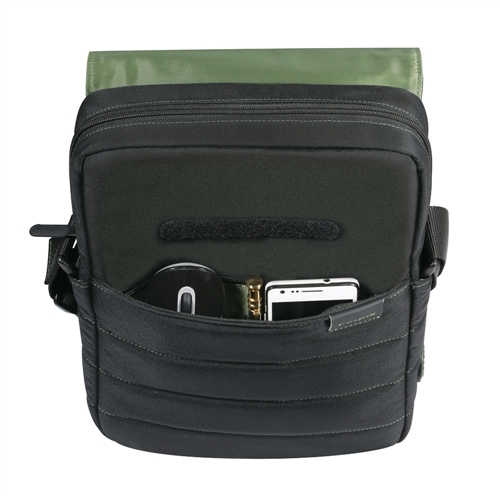 The case is PVC-free and also features nickel-free hardware and recyclable plastic components. 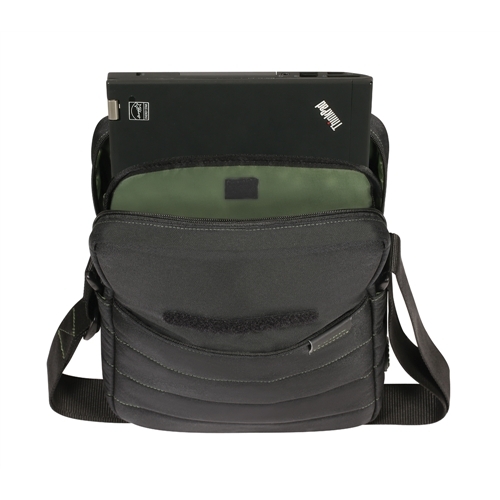 It is designed to protect a laptop up to 12.1” or a mirrorless camera. The laptop can be securely protected in the dedicated padded compartment. 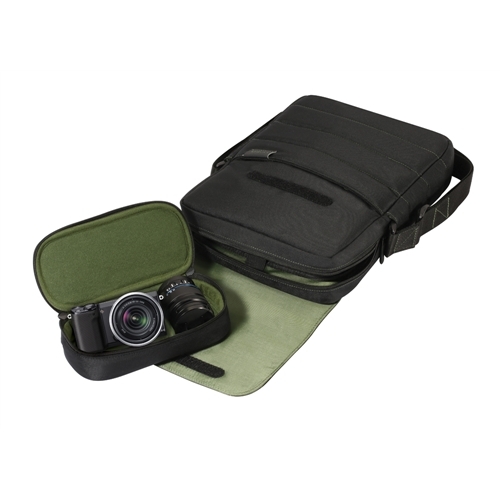 If the laptop is not being carried, the space can be used to store a mirrorless camera placed in the lightweight and removable camera pouch. Smaller accessories can be placed in the accessory pockets. Business cards, USB and SD cards and other items can be stored in the workstation. 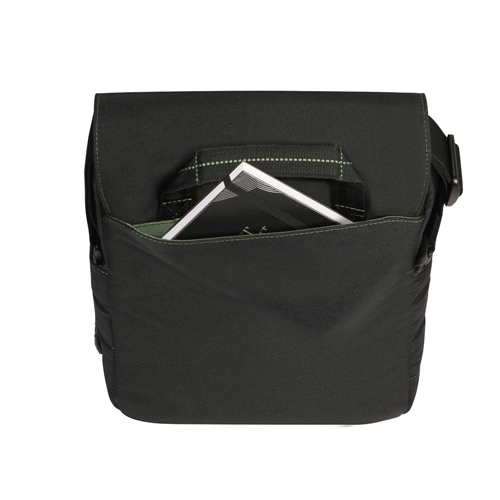 The front quick-access pocket can hold a phone and other items needing to be easily accessible, while the back Velcro pocket will store larger files, documents or magazines, or even a tablet. 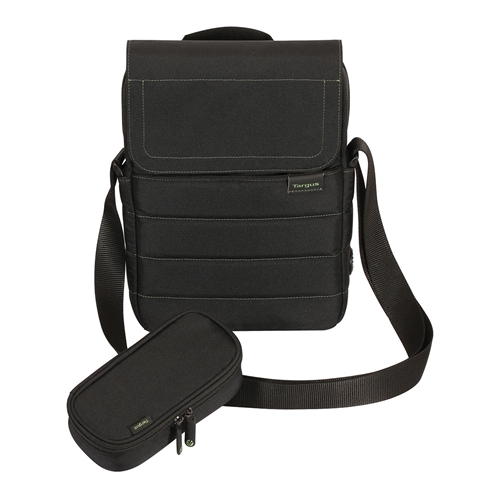 To ensure comfortable carrying, the adjustable shoulder strap and durable carry handles make it easy to transport. The discreet green accents on the outside of the case and vivid green interior on the inside, along with the EcoSmart™ rubber logo and zipper pullers, give the bag a fresh and stylish look. 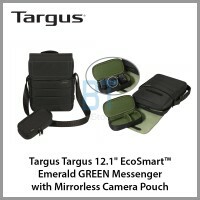 Both sleek and features-rich, the EcoSmart™ Emerald GREEN line offers a perfect option for the on-the-go eco-conscious users. Computer Compatibility Dimensions: 21.1 x 3.8 x 29.70 cm / 11.7" x 1.5" x 8.3"
Exterior Dimensions (fully expanded): 23.81 x 8.26 x 35.56 cm / 9.38" x 3.25" x 14"
Dimensions Computer Compatibility Dimensions: 21.1 x 3.8 x 29.70 cm / 11.7" x 1.5" x 8.3"